Our team of trained professionals are dedicated to working with you. 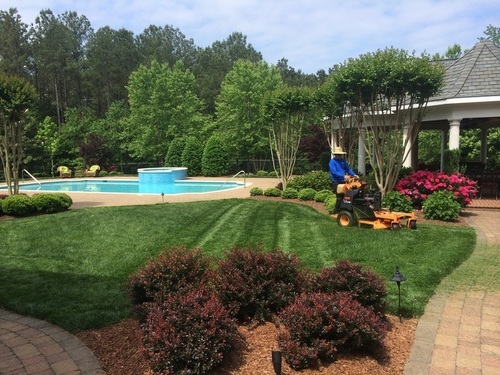 Serving Wake Forest, Rolesville, Raleigh, Cary and Durham, we offer the following services in to help make your landscape needs and ideas come to life. Bristow Landscaping is here to help make your landscape dream become a reality. A member of our team will meet with you to discuss your ideas and provide helpful input and suggestions on the perfect plan for you. A beautiful yard begins with a great idea. Let us help you start that process! Whether new construction or a complete landscape renovation, Bristow Landscaping will work with you to give your home or business a complete new look. Take a look at our Before and After photos to get a glimpse of what we can do for you. 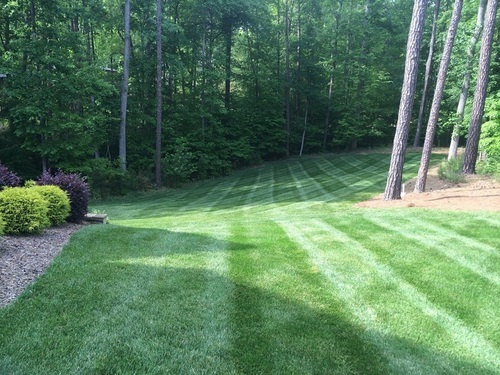 Bristow Landscaping provides routine maintenance for the landscape of your home or business. We will meet with you to discuss your needs and provide a detailed maintenance plan and schedule that works best for you. Let us help you create or renovate your outdoor living space. Bristow Landscaping offers a wide variety of hardscape services that include but are not limited to: paver patio construction, natural stone construction, segmented retaining wall construction, custom fire pit/ring, accent walls, and custom arbor and trellis construction. Looking for a great way to enhance your existing landscape? When properly designed and installed, lighting can truly enhance all aspects of your landscape. Bristow Landscaping offers a wide variety of fixture styles and sizes. We look forward to working with you on your lighting project from start to finish! A well-maintained, healthy lawn can do wonders for your property's curb appeal. Whether you are looking for basic turf advice or a complete lawn makeover, our team can meet with you to discuss your needs and come up with a plan that best fits your ideal outcome. Check out some photos of various sod and turf installations. From a simple repair to a complete installation, we can handle all of your irrigation needs.